Notice in particular how close Mars and Saturn are – there’s been quite a picturesque game over the past months with the lineup of Saturn and Mars, along with the stars Spica (in the constellation of Virgo) and Antares (in Scorpius) . 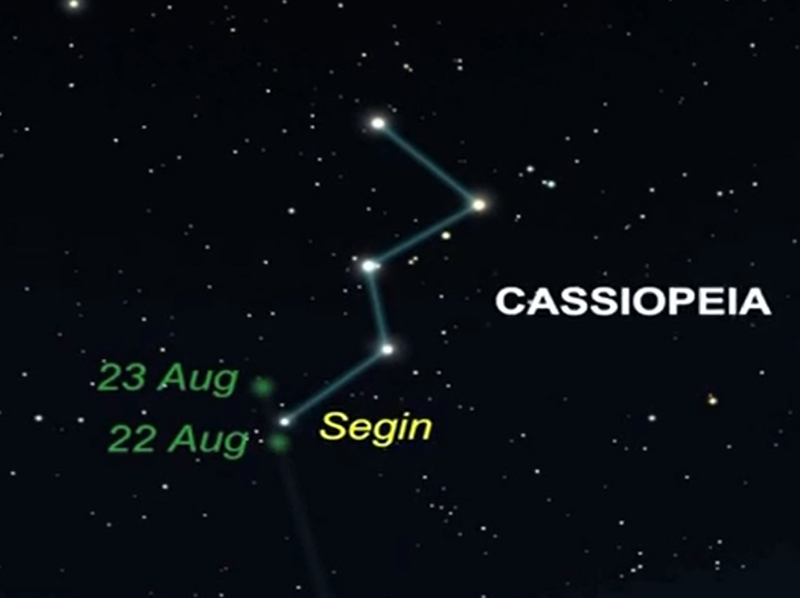 On the 24th of August Mars and Saturn are at their closest (3 and a half degrees apart). Look into the South West Sky to see them. Those who know their way a little around the stars should be able to identify Scorpius, (watch out for the cats eyes) , the famous “teapot” at the Centre of the Galaxy in Sagittarius and now almost overhead the “Summer Triangle” composed of the three bright stars Vega , Deneb and Altair. In particular I want you to look for Altair in the constellation of Aquilla the Eagle. 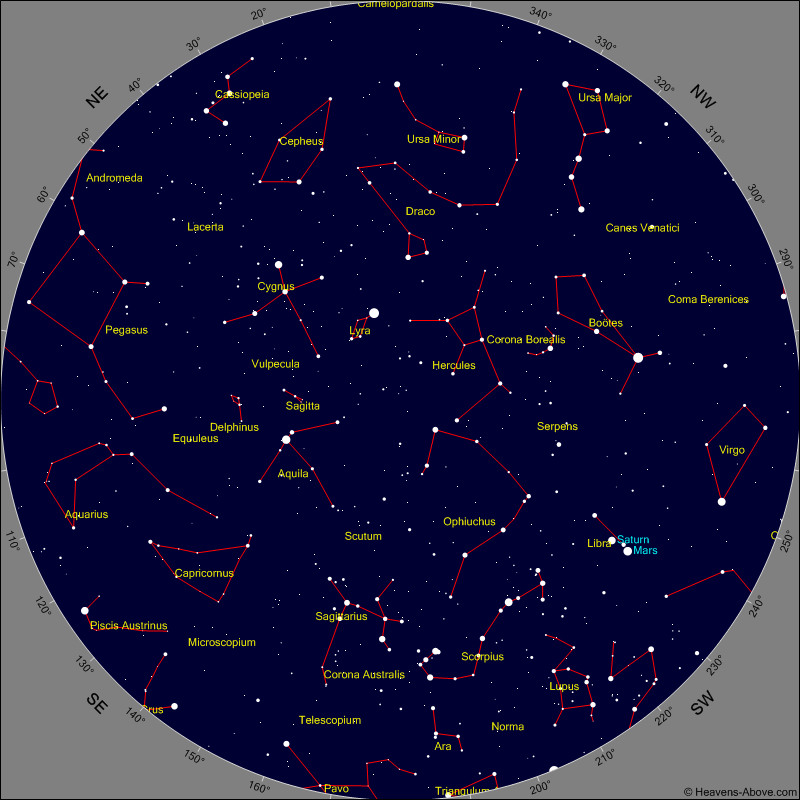 It’s a long shot but on the 19th of August at around 20:20 PM there’s an Iridium Flare. This satellite – Iridium 41 will reach a brightness of -5.0 which will (if it turns up ) be pretty bright! Good Luck and Clear Skies Everyone!